No matter what make or model vehicle you drive, the day will come when you need brake repair in Burke, VA. When that day comes you’ll want the confidence that your brake problem will be accurately diagnosed, simply explained, and properly repaired. The confidence you can get at Wiygul Automotive Clinic. While newer vehicles are engineered for a longer lifespan, they still need regular maintenance. And, like any other piece of machinery, all vehicles experience normal wear and tear. On the front line every time you drive - your brakes. It’s understandable that brake repair in Burke, VA, is one of the most common auto repair services performed by our professional mechanics every single day. A 2011 AAA report said major brake repairs ranged in average price from $350 to $1,200. 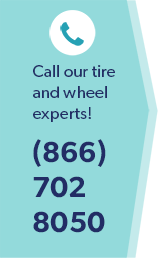 Need a new set of tires because of damage from the brake problem? Tack on another $300 - $1,000. The bottom line is, the sooner you have an ASE-certified mechanic inspect and assess your brake components after you notice any change in braking performance or an odd braking noise, the better. Americans are holding on to their cars, trucks, and SUVs longer than ever before in the history of the automobile. Auto research firm Polk reported in 2013 the average age of roadworthy vehicles driving our highways and byways was 11.4 years. Chances are pretty good that you or someone in your family is driving that 12 year old car which, as it ages, will undoubtedly need reliable brake repair in Burke, VA. Since 1996 the Wiygul Automotive Clinic family has taken great pride in being an honest and reliable auto repair facility. With state-of-the-art equipment, top quality auto parts and fluids, and ASE-certified, mechanics and factory-trained technicians we give our quality commitment to you and the safety of your vehicle every mile you drive.